Fabric: 88% recycled polyester/12% elastane. Bottom hem: 90% nylon/10% elastane. 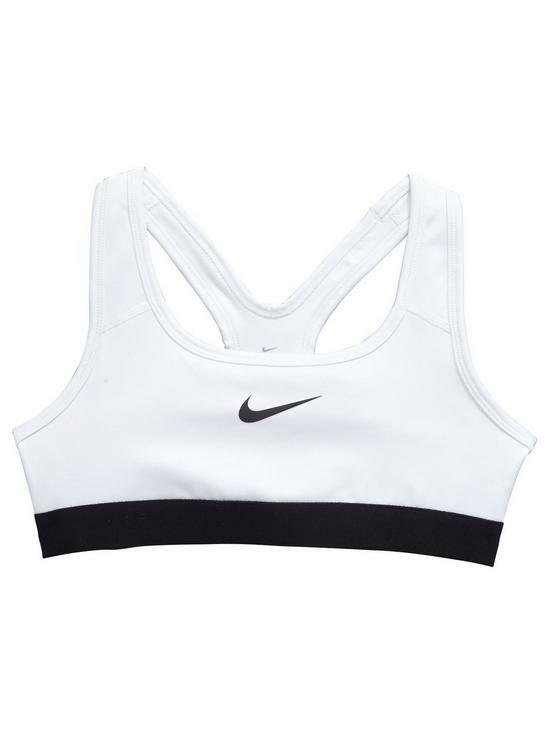 The Nike Classic Older Kids’ (Girls’) Sports Bra features sweat-wicking fabric and a tight fit to help keep you dry, comfortable and supported when you practise or play. Its comfortable racerback design minimizes distractions, while its tight, compressive fit helps reduce movement during workouts. Dri-FIT technology wicks sweat away to help keep you dry and comfortable. Compression fit for snug support while you work out. Brushed chest band offers an incredibly soft, secure fit. Material Content: 88% Polyester,12% Elastane.